I grew up with two brothers but no sisters. Through the North Fulton, GA chapter of Mocha Moms I now have about 80 sisters and I am so thankful for them all. Last night my sisters and I had a wonderful evening of chatting, chocolate and cooking. I was honored to have the pleasure of doing a cooking demo for about 30 ladies, but what to cook for such a large group with diverse tastes and dietary needs. 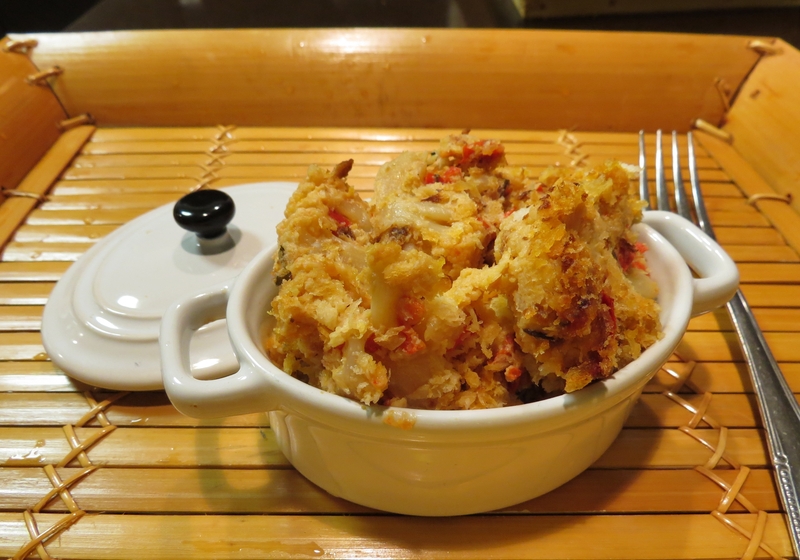 This cauliflower gratin relies on vegan “cream cheese” for it’s creamy sauce and nutritional yeast for it’s cheesy taste. If you need a GLUTEN FREE version of this recipe leave off the panko gratin topping, replace them with potato chips and enjoy. Sauté onions, carrot, red bell pepper and celery in 2 tablespoons of vegetable oil until softened. Add lemon juice, water and cauliflower to the pan. Stir to mix all vegetables together and cover the pan. 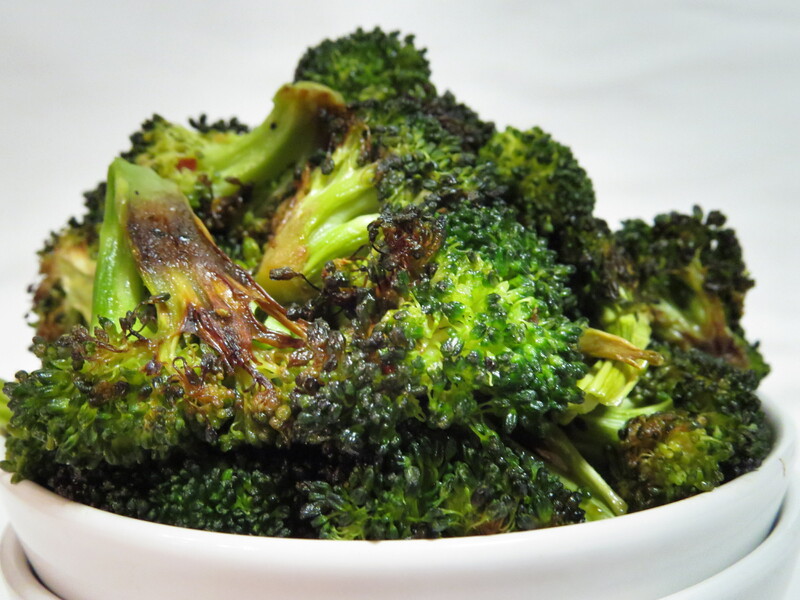 Steam on low for about 10 minutes or until cauliflower is tender. Stir vegan cream cheese, 2 teaspoons of nutritional yeast and salt to taste into the cauliflower. In a bowl, mix panko crumbs, 2 teaspoons of nutritional yeast, 1 teaspoon salt and 1 tablespoon of vegetable oil and sprinkle on top of cauliflower. 2 beaten eggs Boil pasta until al-dente. 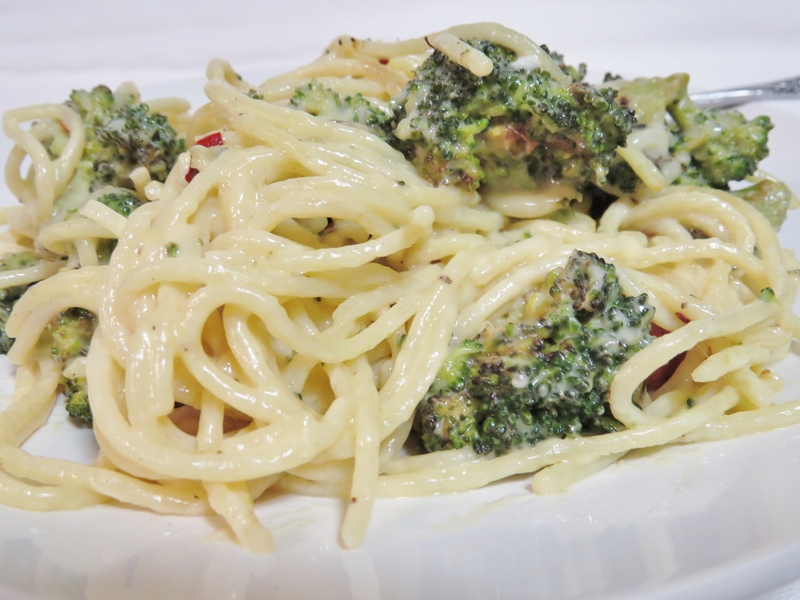 While the pasta is boiling, sauté the broccoli in the olive oil.Drain the pasta (save about a cup of the pasta water) add the pasta to the broccoli.Add half and half and bring the pasta to a simmer. Add the parmesan cheese , salt, pepper and red pepper flakes then remove from heat. Stir in the two beaten eggs , if the sauce is too thick you can thin it with the pasta water (just add a little bit at a time)Serve immediately with a little more grated parmesan if you like. 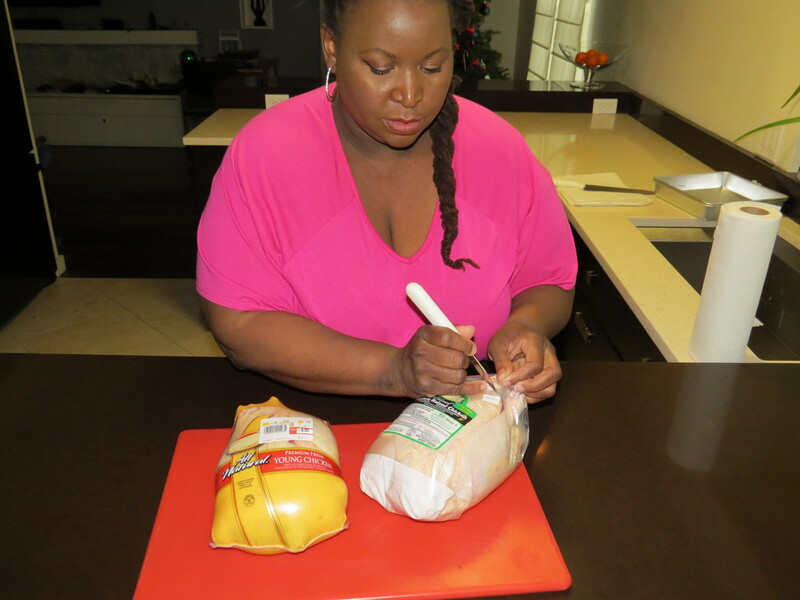 Getting ready to do the chicken challenge. One chicken is from a “factory” farm and one is from a “family” farm. I just completed my latest “CHALLENGE”!! We finished shooting a video looking at all aspects of these two very different chickens. Price is a HUGE factor as well as taste. We’re editing the video right now so stay tuned to see how it all pans out!! The homemade bacon is so thick and delicious, you can really sink your teeth into it. It’s moist and juicy inside but crisp on the outside….the store bought bacon has no inside so there is really no comparison. The homemade bacon has a rich smoky flavor but it’s not too strong, you can really taste the slightly sweet flavor of the pork as well. Unfortunately the flavor of the store bought bacon was weak and wimpy, there was not much to it at all. So the verdict is : I will take a little effort and a bit of time to make my bacon at home. It is TOTALLY worth it. Bacon is everywhere. Its on doughnuts, ice cream, chocolate bars, even candles and soap. To each their own, but I just want delicious, smoky, crispy bacon on a BLT or with oysters, something savory, salty and delicious. One of the problems I’ve found with bacon from the grocery store is that it tends to be sliced too thin, even the “thick” bacon from fancy grocery stores is fairly thin which is fine for a sandwich but for some of the recipes I want to try I need a big hunk of bacon. Another problem is that I have not been happy with the taste of store bought bacon . It just ain’t right. I decided that I’d make my own bacon. First decision, to nitrite or not nitrite. Nitrites (also referred to as pink salt or curing salt) in combination with kosher salt are added to cured and smoked products to inhibit the growth of bacteria. There were several recipes I found that used only kosher salt to treat bacon but I don’t feel that is sufficient. The pork belly that I was turning into bacon would sit in my refrigerator for a week and then be smoked at a low temperature for a few hours and that is the perfect environment for bacteria to grow. Also, the nitrites give bacon that special bacony good taste. Get it started. I ordered the pink curing salt and some cane syrup from Amazon and received it within a few days. Then I visited Assi, an international market, to find my pork belly. They had some pieces in the meat case but they were a bit too small, about 2 pounds each, I was looking for a large piece that was a least 5 pounds. I asked the ladies that were packaging sausages behind the counter if they had any larger pieces of pork belly. There was a bit of confusion, a language barrier and some strange looks but finally they called the butcher over and he brought out a huge 12 and a half pound pork belly. Stay tuned. I’ll fill you in on how I got from belly to yummy, yummy bacon in a future post.